YES Pest Pros Technicians Make Pest Control a True Profession - Yes Pest Pros, Inc. YES Pest Pros Technicians Make Pest Control a True Profession - Yes Pest Pros, Inc. If you’re looking for an Elkhart pest control services company, you won’t find anyone better than Young Environmental Solutions. Young Environmental Solutions—also known as YES Pest Pros—is a family owned pest control company that is now in its third generation. A company that uses state of the art technologies and products to fight pests of all kinds, YES Pest Pros has been a top rated company with the Better Business Bureau for many years. It was also named a Quality-Pro company by the National Pest Management Association (NPMA), a highly regarded honor given only to companies that support environmentally responsible programs and products. Few pest control companies can boast the title of Quality-Pro. YES Pest Pros is not just an exterminator service; they also offer their clients an initial inspection, and a thoughtful consultation that are both free of charge. Their state licensed technicians will use their assessment to work with you to build a pest management program that is specific to your needs. Their suggestions will be based on the location of your home, its construction, and if there is an existing infestation, they will consider the degree of infestation present in their overall report and subsequent action plan. 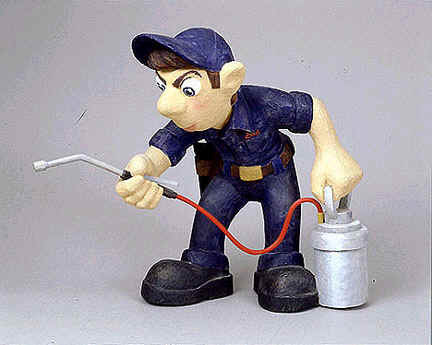 YES Pest Pros technicians are all skilled, licensed professionals. They have been thoroughly trained in the management of bees, termite pest control, bed bugs, and other types of home invaders. If bees are your problem, you might be interested to know that our technicians don’t kill the bees (which are so important to the fragile balance of our eco-system), but rather they will safely remove them without damaging your property and relocate them to a less populated area where they can continue to propagate and pollinate. Bed bugs—which are back in the news after nearly 60 years of near extinction—are something that the professionals at YES Pest Pros are very well prepared to handle. Using a non-toxic Heat Rx solution, they are able to exterminate bed bugs completely without the use of harmful chemicals and without the need to isolate the infected areas. Bed bug heat treatments are such an effective solution, that results are thorough (killing the eggs as well as the mature bugs) and nearly immediate. There is no doubt that YES Pest Pros technicians are your answer to effective, safe pest control in Indiana, so give them a call or visit their website and see for yourself.